Everything you want, everything you need. . . Known throughout Monmouth and Ocean Counties for our solid reputation, superior customer service, finest building materials, quality craftsmanship, and attention to even the smallest of details is the foundation of Prestige Custom Builders LLC. With over 25 years of experience in residential construction Mario Zolofra a second-generation builder founded Prestige Custom Builders LLC. With the vision of providing comprehensive services for all types of construction projects large or small from renovations thru additions and custom home building. Prestige Custom Builders leads you through every phase of the construction process, from design to certificate of occupancy. We provide individual personalized service and work closely with our clients to discover their wants and needs, we then transform those desires to high-quality form and function providing every project with the highest attention to detail. Whether you are interested in building a custom home, adding space to your current home or remodeling your kitchen or bath, Prestige Custom Builders has the experience and craftsmanship for every project. Ignite your imagination and allow Prestige Custom Builders to fulfill your dream home vision. The Cardano Group is a family-owned custom home builder with a passion for quality, a mastery of craftsmanship and a commitment to quality, and as our award-winning legacy of new and remodeled homes demonstrates, we are the area’s premier builder and remodeling contractors. But we are just as proud of the relationships we have built - with clients both past and present. What makes us unique is a personal approach characterized by our willingness to listen, our desire to solve problems both big and small and our commitment to collaborate. Experience Hamptons Luxury Estates’ team brings 40 years of combined experience in their respective fields to every project. Expertise All team members are top-tier professionals, licensed and insured, and are always up to date in their disciplines. Quality Hamptons Luxury Estates’ impeccable attention to detail yields one-of-a-kind, quality luxury residences. WHO WE ARE Our core strength and advantage lies in our ability to manage all aspects of construction with full control over budget, schedule and quality. Whether residential, commercial or public, we have proven repeatedly our competence to complete projects with full customer’s satisfaction and for this we have always been rewarded with the loyalty of our great customers. Our team consists of greatly talented individuals who share our vision for excellence and are extremely talented and competent in their field. We have dedicated licensed electrical, plumbing and HVAC/Mechanical personnel on staff and are registered with the New Jersey division of consumer affairs with an excellent history and track record. We hope that you will give us the opportunity to prove why we are the best contractors in the Tri-State are to work with. Mijack Homebuilders, LLC is a third generation company that is vertically integrated with Mayrich Construction Corporation. We have been in the construction business for nearly 70 years and have gained a reputation for quality, service and speed. We have brought that experience and passion to the homebuilding business. 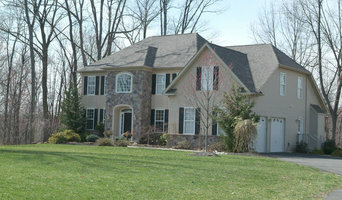 We build spec homes in Chatham primarily, but we also build custom homes in other parts of NJ. Please inquire about your goals. At Mijack Homebuilders, we strive for excellence. We want you to LOVE your home. With our staff and subcontractor relationships, we are able to provide high quality construction with an abundance of features at competitive prices. We pay attention to every detail, from electrical outlet placement to the backup generator that automatically comes on in an emergency. We provide unique features that make your life easier, like a Snow-Melt system that automatically melts snow from your walkway and driveway. Style is equally important, and a lot of thought goes into every detail. Each home has extensive trim work to make you feel like you’ve been transported to the “Old World” when artisans and craftsmen were more like artists. President, Mike Giacopelli is a Villanova University graduate with 20 years in the construction business. Through the years he has developed over 1 million square feet of new construction including commercial, industrial, retail and residential buildings. 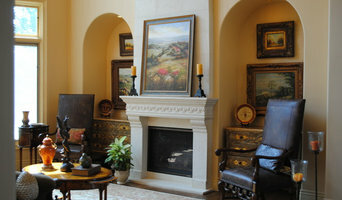 Mike's passion is custom, luxury residential properties. He loves to create homes for people that are beautiful in design and are of high quality in function and takes great pride in his products and our reputation. Mike's beautiful wife is my “sounding board” and her input and support has been very valuable and his beautiful kids are the inspiration for the company name. R.B. Homes has been in Princeton since 1995 and its founder, Roman Barsky, has built well over 100 homes in that time period. Roman has been a premier custom home builder in affluent areas of New Jersey for the past twenty-five years. The houses are of a traditional colonial style and range anywhere from 1,500 to 12,000 square feet. While most of the business is done in the Princeton area, R.B. Homes also builds and develops within North and South Jersey in areas such as Morristown, Short Hills, New Vernon, Brick, and Point Pleasant. R.B. Homes specializes in single family residential new construction but also builds town homes, condominiums, duplexes, and commercial dwellings. R.B. Homes builds on exquisite lots in prestigious sections of town and all its houses are built custom with their own unique design, floor plan, and charming appearance. Homeowners who have purchased houses from R.B. Homes have commented on the impressive quality of work and attention to detail. Roman Barsky and his company, R.B. 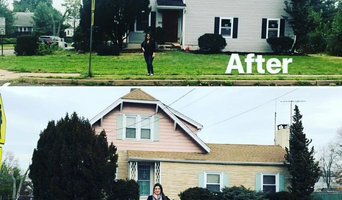 Homes, have an outstanding reputation in town and are highly regarded amongst customers, township/building officials, realtors, and many others who work with Roman and the company. R.B. Homes goal is to build masterpieces that complement the natural beauty of the surrounding landscape, thereby creating a home that becomes an integral part of its surrounding community. R.B. Homes meticulous attention to detail has established an unequaled reputation for architectural design and superior quality. "We Design and build from your basic needs to your wildest dreams"
Our mission is to develop, build and maintain the physical environment for living, and working. We’ve earned a reputation for honesty, discipline and hard work. Our values are demonstrated in the way we work and interact with others. We build more than buildings — we build relationships! Anthony Charles Homes, Inc., is a Pennsylvania Corporation established in 1990. Our primary business is the construction of custom homes and renovations. We enjoy a solid reputation with our customers and vendors alike. We take pride in our excellent craftsmanship and utmost attention to detail. Anthony Charles Homes are Built for Generations.